Taking care of your lawn is a task that has you wanting to get it done efficiently and hassle-free. For homeowners compared to a professional service, this can be done without many of the hassles that a professional must deal with. 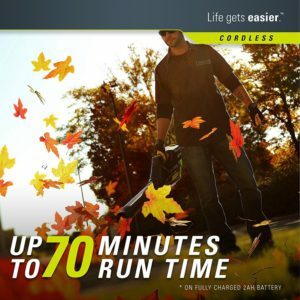 In this post, we are going to talk about one of the best cordless blowers to help you in your yard maintenance duties. For a homeowner, you are not having to run your equipment for 8 to 10 hours a day. This means that cordless equipment is specially made for you. This is true because why deal with gas, oil & maintenance when you don’t have too? My point being is that cordless equipment will relieve you of all of that and is much lighter to use as well. I am in the lawn service business and I recommend that if you do your own lawn cordless is the way to go. I believe in whatever a piece of equipment can offer that will allow you to start the job and complete it without any headaches makes it a worthy piece of equipment. And today’s cordless equipment does just that for the homeowner. Not only that, the batteries can be used on all the equipment of a certain manufacturer. The Greenworks Pro I know will deliver solely on its run time. I know that you will be able to take care of your chore with one battery charge and that’s what anybody would want, right? Too, many times a person asks how long will I be able to work on one charge. If you can’t finish in 70 minutes then you are doing more than your own home. That is exactly what this blower will give you in run time. This eliminates all the worries of how long will it take to charge the battery. I think that is a big worry for everyone. As far as charging goes, this unit comes with a charger and the battery and charges in around 30 minutes. The average lithium battery lasts a couple of years with proper care. The operation features of the Greenworks Pro are very attractive. 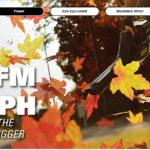 It blows up to 500Cfm and 125mph to blow through wet/dry leaves and debris. It also runs quietly at 60 decibels. And starts up every time with a push of a button. No more pull strings, gas, oils or yearly maintenance. Below is a video to fully show you the benefits of the Greenworks Pro 80v Blower. So you can see why I feel that the Greenworks Pro 80v blower is considered one of the best cordless blowers you can buy. The cost to purchase this unit is very reasonable at $200.00 to $270.00. It just depends on where you shop. I am here to offer the best deals. So I am going to give you a couple of options and you can go from there. Click on each option below. 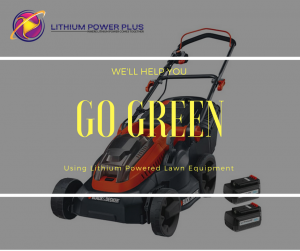 Feel free to go to our store Lithium Power Plus to see more options and get great prices on all items. Thank you for visiting and I hope we were able to show you a better way to maintain your property. If there are any questions or comments feel free to leave them in the comments section below.